The Genesis Drip Irrigation System was created for gardeners and growers who are looking to conserve water consumption by delivering the right amount of water directly to the root system of the plants. Each of the Genesis Drip Irrigation Systems are designed for specific projects to make it easier to select the system that is right for you. Genesis also offers additional accessories to allow for the grower to customize their own system to fit their own personal needs. This kit is designed for outdoor growers looking for a portable but easy to use and set up drip irrigation system. This system comes complete with a dual hose reel that holds 2 60ft sections of drip lines. Each line has dripper head every 12 inch apart. Each of the dripper heads releases .5 gallons/ hour creating a more accurate watering system. When done, easily reel the dripper hose back up and store or roll out in another part of the garden. 60 ft. Drip 'N Roll Dripper Garden Watering System The Genesis Drip Irrigation System was created for gardeners and growers who are looking to conserve water consumption by delivering the right amount of water directly to the root system of the plants. Each of the Genesis Drip Irrigation Systems are designed for specific projects to make it easier to select the system that is right for you. Genesis also offers additional accessories to allow for the grower to customize their own system to fit their own personal needs. This kit is designed for outdoor growers looking for a portable but easy to use and set up drip irrigation system. 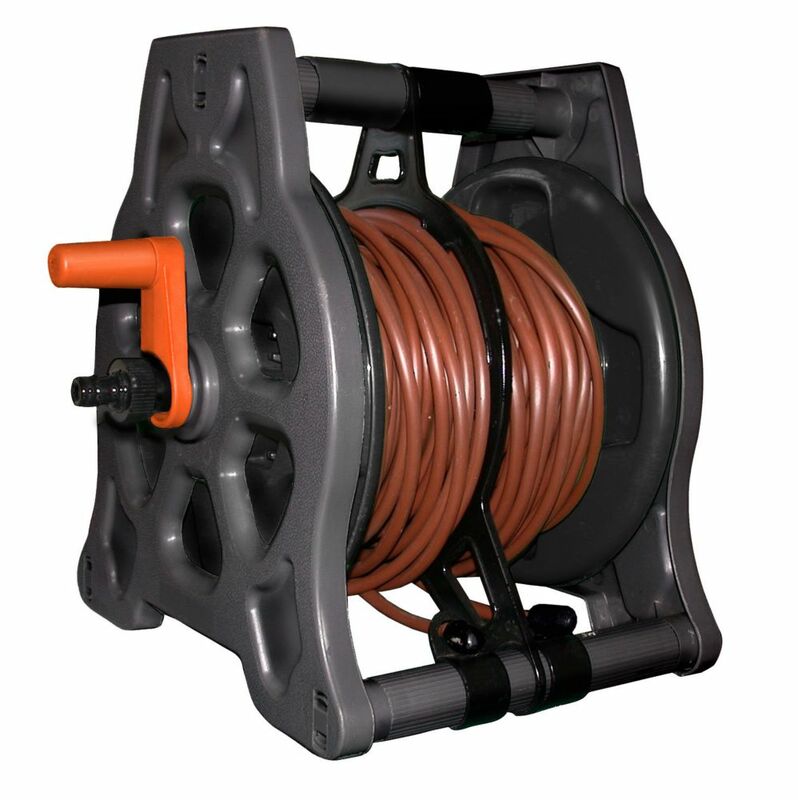 This system comes complete with a dual hose reel that holds 2 60ft sections of drip lines. Each line has dripper head every 12 inch apart. Each of the dripper heads releases .5 gallons/ hour creating a more accurate watering system. When done, easily reel the dripper hose back up and store or roll out in another part of the garden.